American rap ‘icon’ Calvin Cordozar Broadus, Jr., popularly known by his stage name Snoop Dogg has announced he intends to do Gospel music in the new year-2018. Snoop revealed this while talking about his recent music video for ‘My Last Name’, which was a tribute to his wife Shante Broadus. Snoop announced his 16th studio album, ‘Make America Crip Again’, in October. 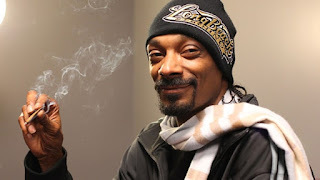 Explaining his album title, Snoop said: “Certain people feel like we should make America ‘great again,’ but that time they’re referring to always takes me back to separation and segregation, so I’d rather make America Crip again. What do you make of this decision?